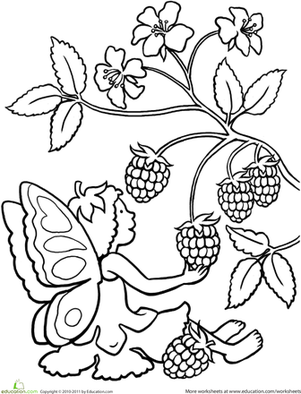 This teeny fairy is picking herself a feast of berries. 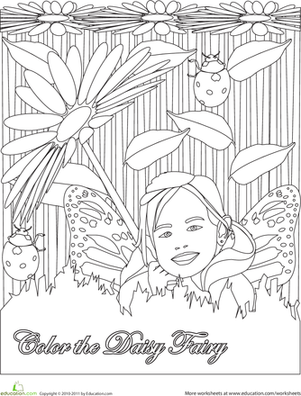 Can your child give some color to this sweet scene? 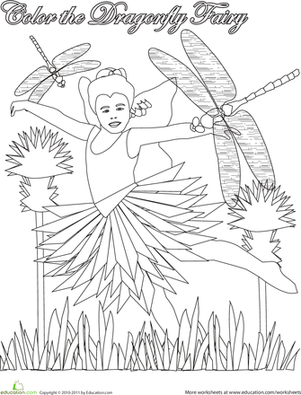 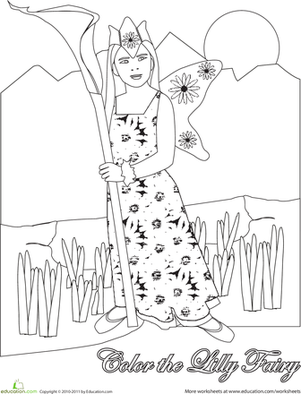 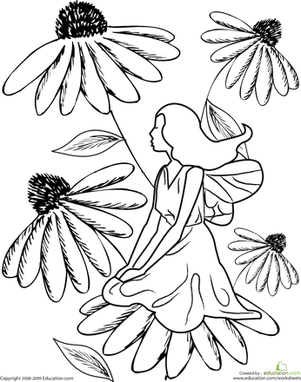 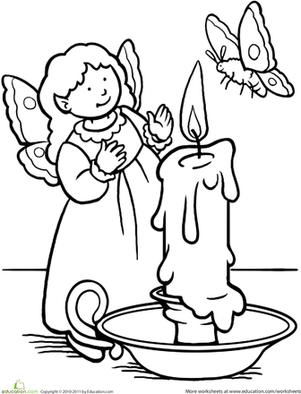 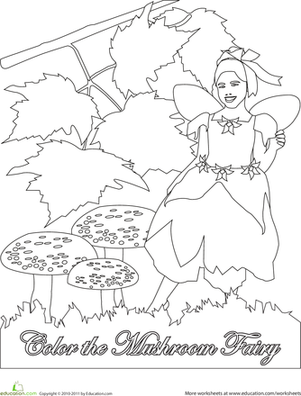 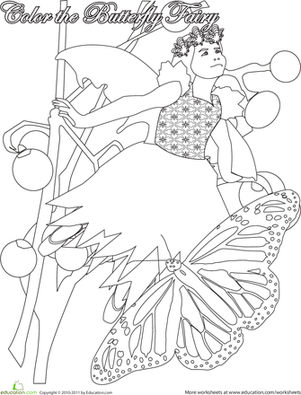 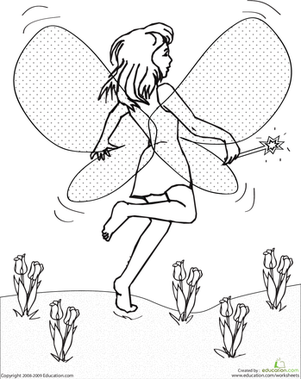 This pretty picture will impress any fairy-lover, and it'll give her great fine motor skills practice, too. 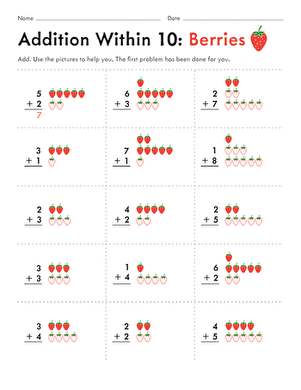 Help your first grader get a hold of some "berry" good math skills with this colorful counting worksheet!